No waste packaging. No waste shipping. Once the bar is used up, it’s gone. 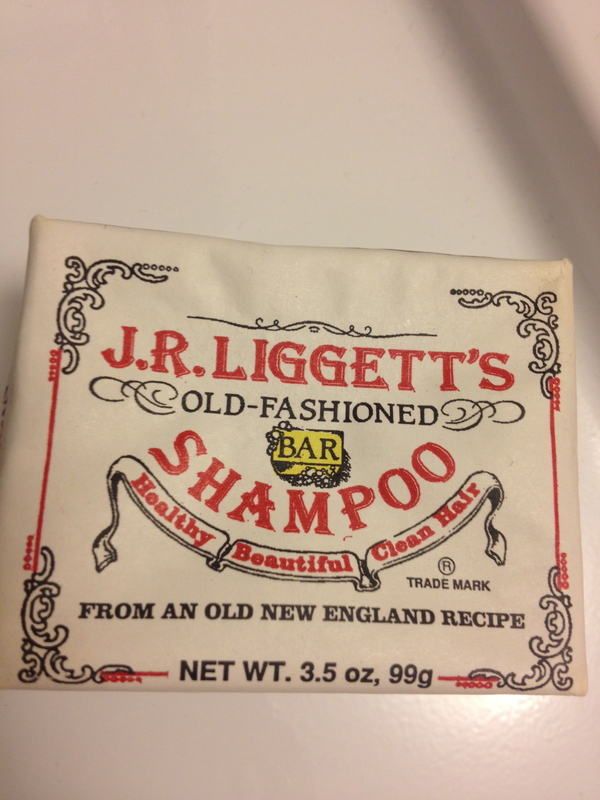 I chose this one because a fellow blogger loved the product and said I just had to try it. Nothing works on my hair for very long. Maybe a month and then it all goes downhill. I think because I dye it or maybe because it’s too long or too oily. Maybe I just have bad luck. I had to bite the bullet and go back to shampoo….for now. But everything works on my husband’s healthy head of hair. He uses no products and rarely uses conditioner. He doesn’t dye. So, for those of you naturalists who are truly living the dream, this should work for you too. 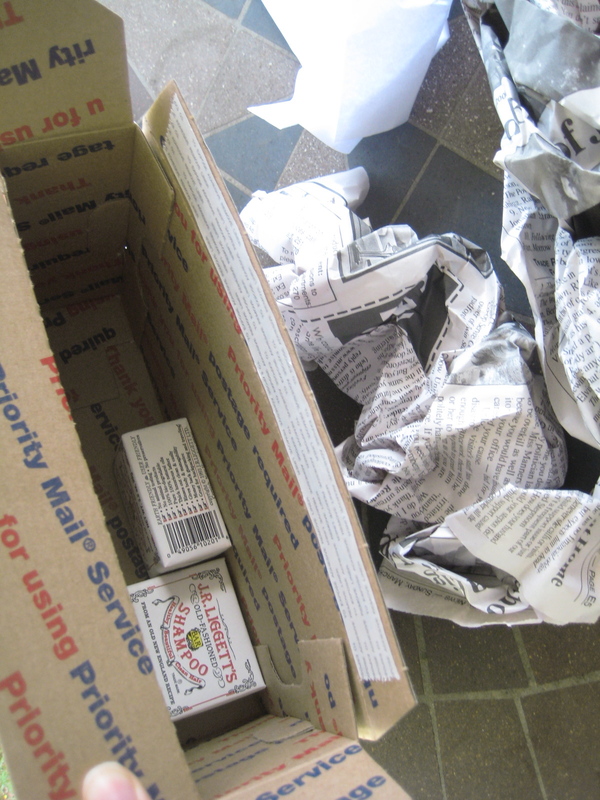 No waste and it arrived in a recyclable box, the soap wrapped in newspaper. I like everything about this product and it worked for me for a while, and then no-poo results reared their head again. Maybe I’ll use shampoo for a while and then try this again. I’m not giving up. My husband swears by it and won’t use anything else. He also shaves with it. He also likes the LUSH shampoo bars. That says a lot for me. Wish I had guy’s hair. Not on my chest though. 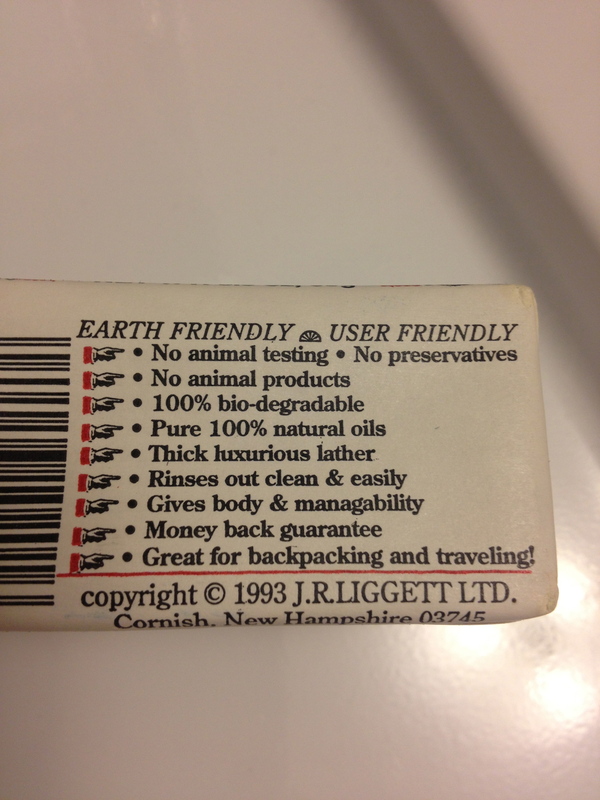 This entry was posted in Switching products/brands and tagged Hair, Hair care, military spouse, militaryzerowaste, No poo, Shampoo, shampoo bars, zero waste. Bookmark the permalink. Hahahah – I found life easier with short (guy like) hair too! Sarahn–Two shouts for short hair! 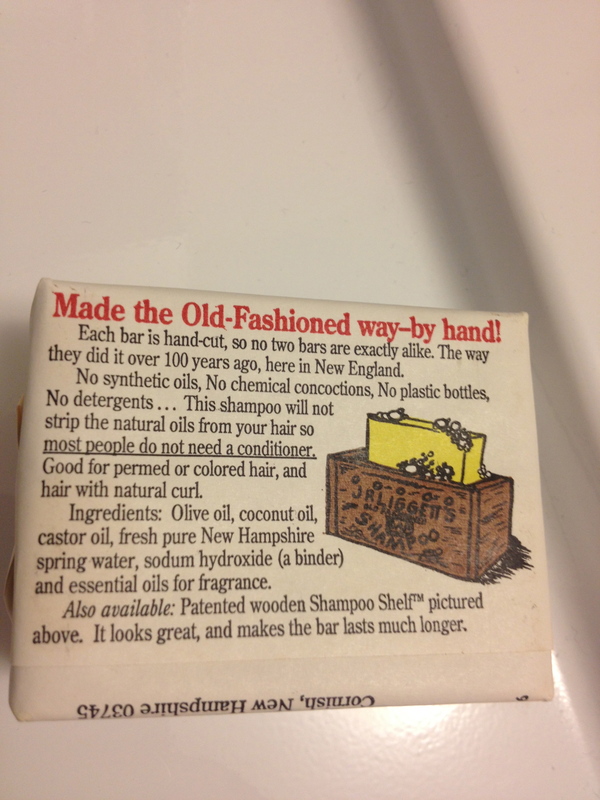 Shampoo Bars are on my “to try” list! I’ve found that I need to switch formulations occasionally. 🙂 My current recipe is rosemary/lavender with vegetable glycerine, but I’m washing today with a cleansing formula (tea tree and apple cider vinegar).